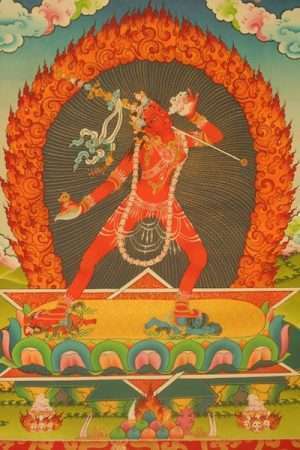 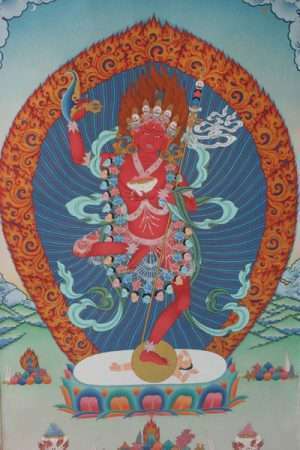 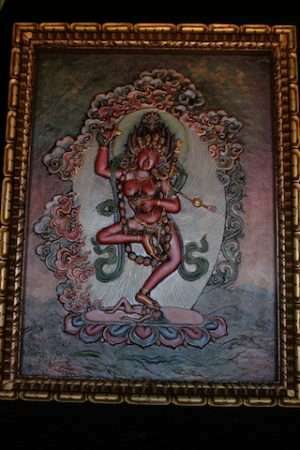 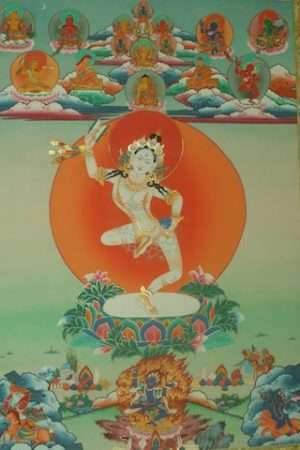 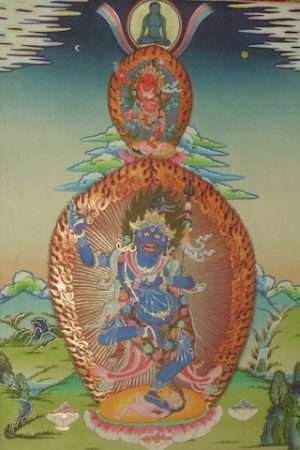 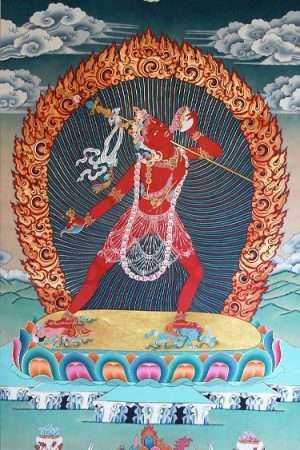 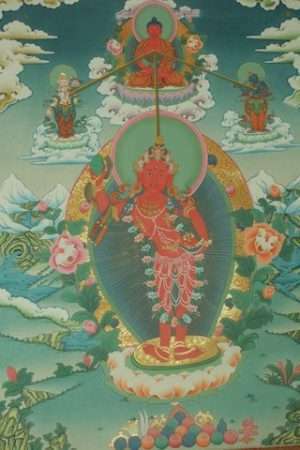 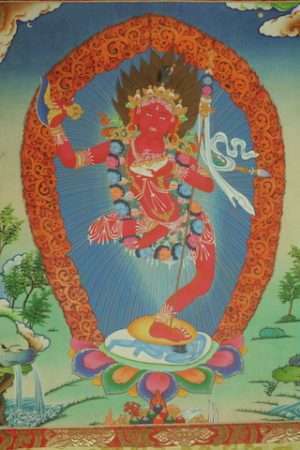 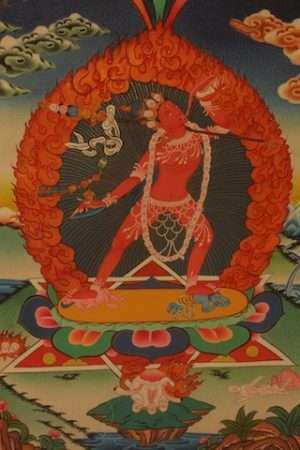 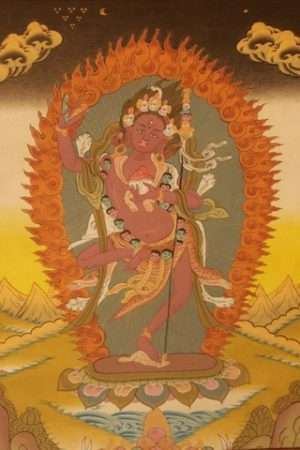 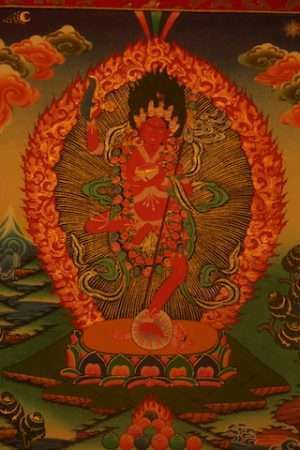 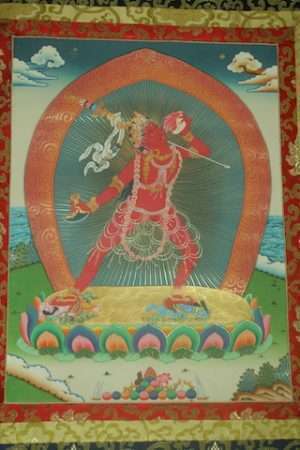 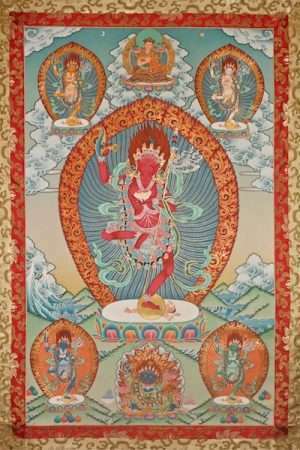 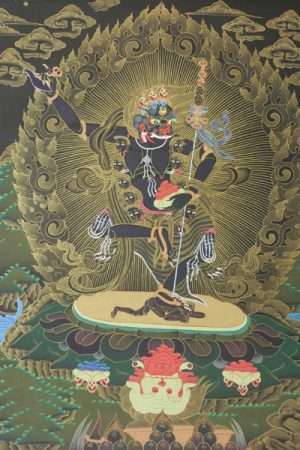 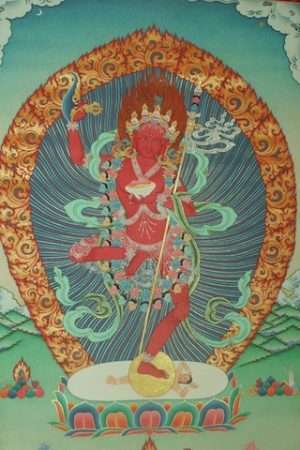 Vajrayogini (Dorje Naljorma in Tibetan) and Vajravarahi (Dorje Phagmo in Tibetan) and other tantric female deities such as Kurukulla and Simha Mukha are Tantric figures which appear in a variety of forms and are often known as Dakinis, symbolising the freedom and boundless energies of the awakened mind and heart.Yoginis are wrathful female figures associated with inspiration and freedom. 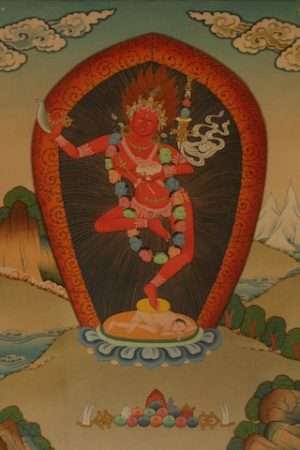 They are part of the esoteric or tantric Refuges of Guru, Yidam, and Dakini, The Vajrayana forms of the Three Jewels of Buddhism, The Buddha, Dharma, And Sangha. 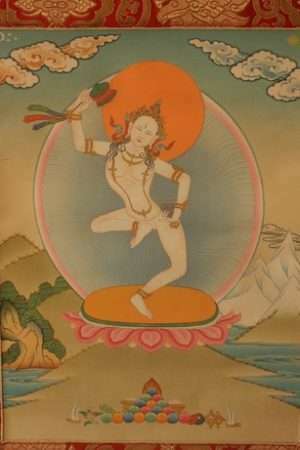 Dakinis may be archetypal or living beings. 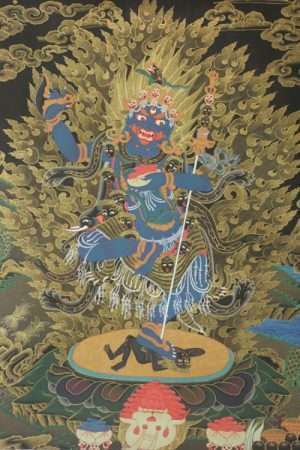 Such thangkas are used in Buddhist meditation and devotional practice to cultivate the enlightened qualities they embody.